Winsmith Mill Market, Norwood, Mass. Antiques. Shabby Chic. Food. Music. Winsmith Mill Market in Norwood, Massachusetts. Article and photos by Eric Hurwitz, unless otherwise noted. Page updated on 2/24/2019. 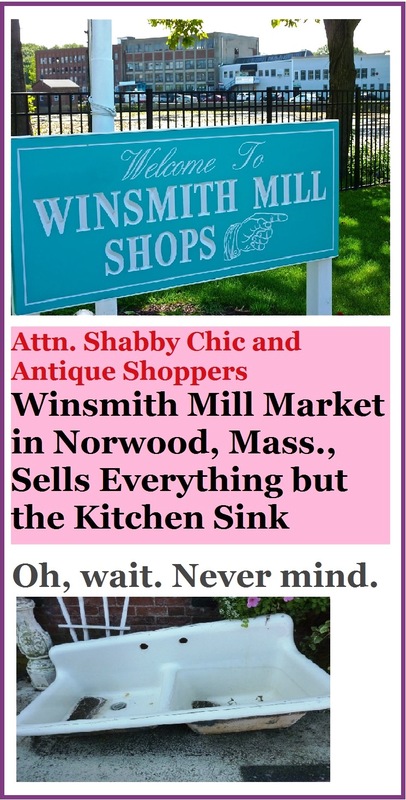 Just as I thought antique shopping in New England was getting old, along comes Winsmith Mill Market at the Norwood Commerce Center in Norwood, Mass. Tucked away in a former mill building off Route 1A, the sight of the 18th century Winsmith Mill Market in four imposing former tannery buildings (bomber jackets were made here during World War II) seems nearly improbable given its hidden jewel status and astonishing selection of merchandise. Antique and shabby chic shoppers who thought they had seen it all most likely immediately say on first impression, "How could I have not known about this place?" Open weekly Friday through Sunday, the Winsmith Mill Market is one of those places where one never knows where to start first. With seven vintage shops and more than 100 vendors -- often with connected shops through the virtual maze -- the Winsmith Mill Market comes across as a close-knit community with businesses that bridge the look of an antique store, vintage shop, country store and bargain discount center. It's all hard to fully describe, but the Winsmith folks like to refer to the complex as an "Antique to Shabby Chic, to Victorian Boho Artisan Market." The old mill appearance provides the perfect setting for shopping and getting a good walk in during the process. One of the many entrances to the Winsmith Mill Market. For starters, the vendors at Winsmith Mill Market collectively sell furniture, clothing, jewelry, collectibles, paintings, arts and crafts, books, records, old radios and cameras, kitchenware, home furnishings and appliances -- just about everything under the sun, or, as the other cliche goes, "everything but the kitchen sink." I know many people who have made their homes look better by purchasing useful, meaningful and high quality merchandise at the Mill -- and, with other goods, finding exactly what they were looking for at the 27-acre complex. Although a hidden jewel shopping and travel destination, up to 2,000 people visit the Winsmith Mill Market on any given weekend. The vintage shops share some things in common with each other, but, at the same time, have their own wonderful personalities and unique items for sale. It's best to shop them all for an optimal shopping experience at Winsmith. 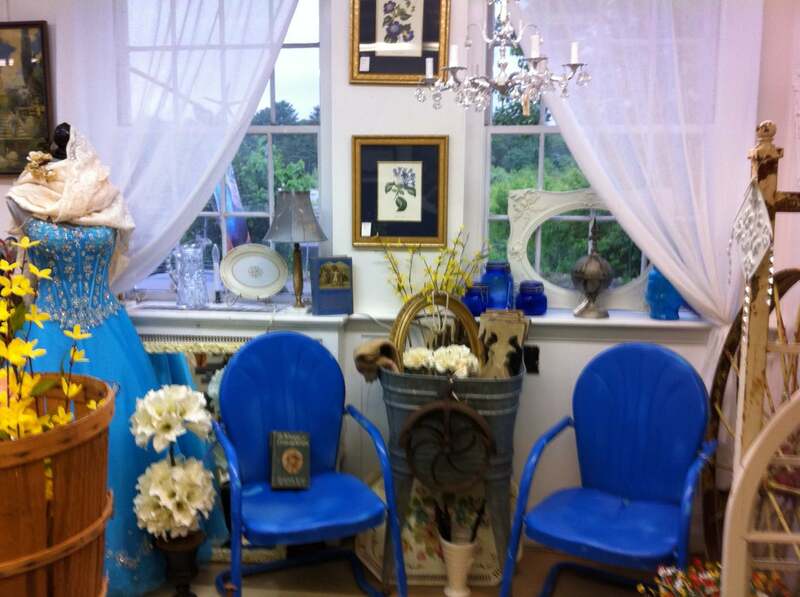 This fascinating and welcoming store sells original and salvaged art, antiques, collectibles and gifts. Owner Susan is a true talent with her wonderful angel art work! 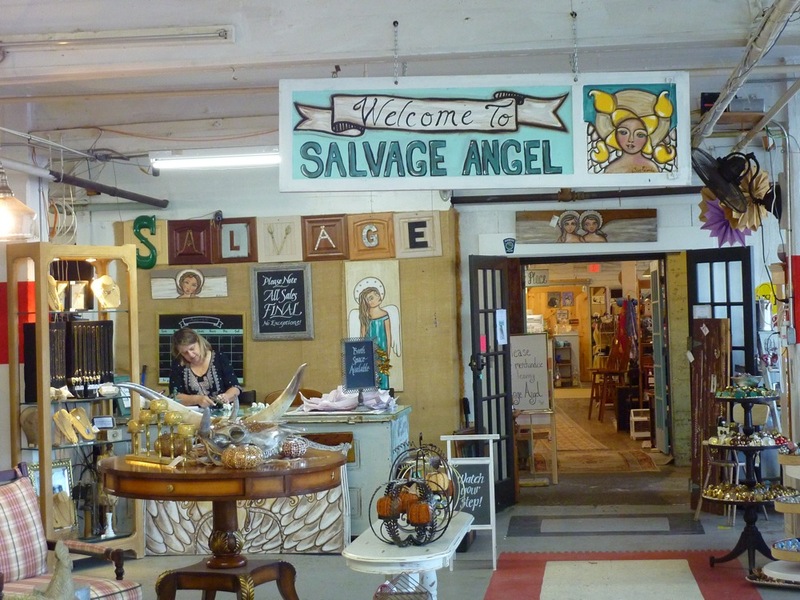 Salvage Angel at the Winsmith Mill Market. Looking like something out of a magazine, White Dog Vintage feature vintage merchandise for the home and garden. White Dog Vintage at the Winsmith Mill Market. 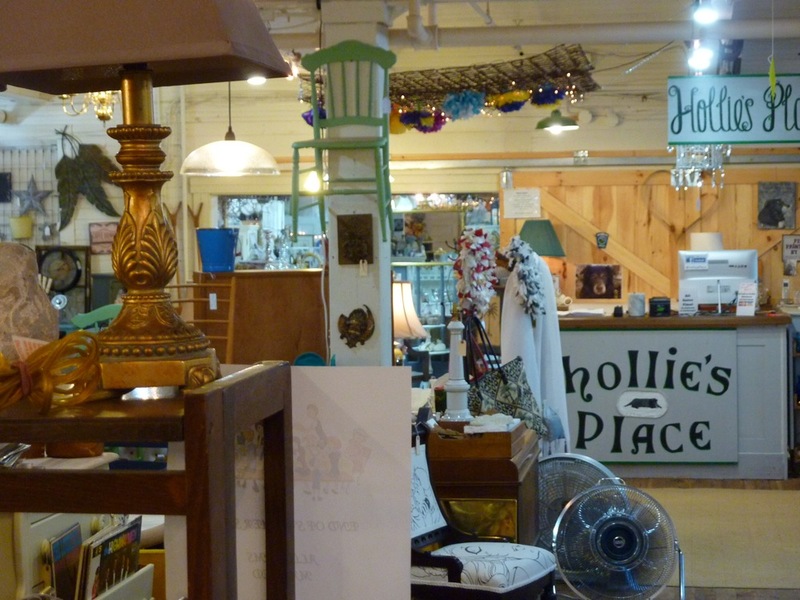 Hollie's Place at the Winsmith Mill Market. 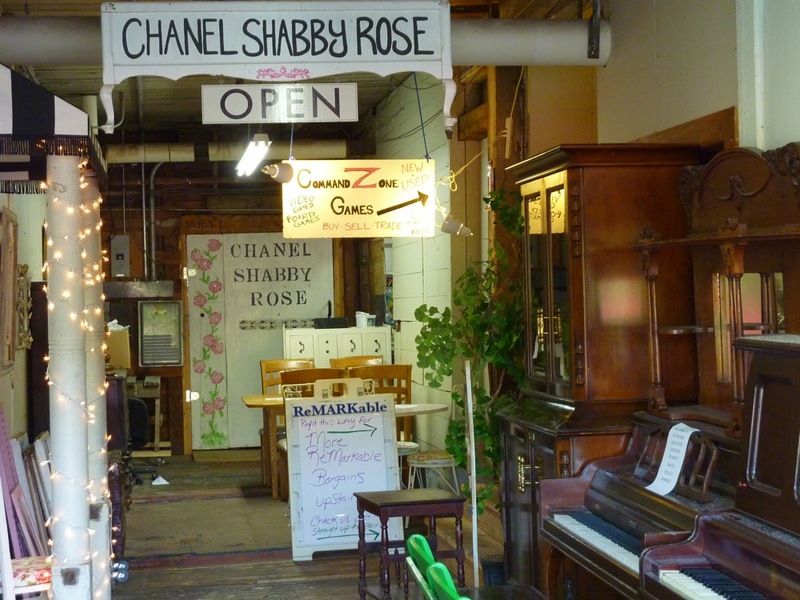 Chanel's Shabby Rose at the Winsmith Mill Market. 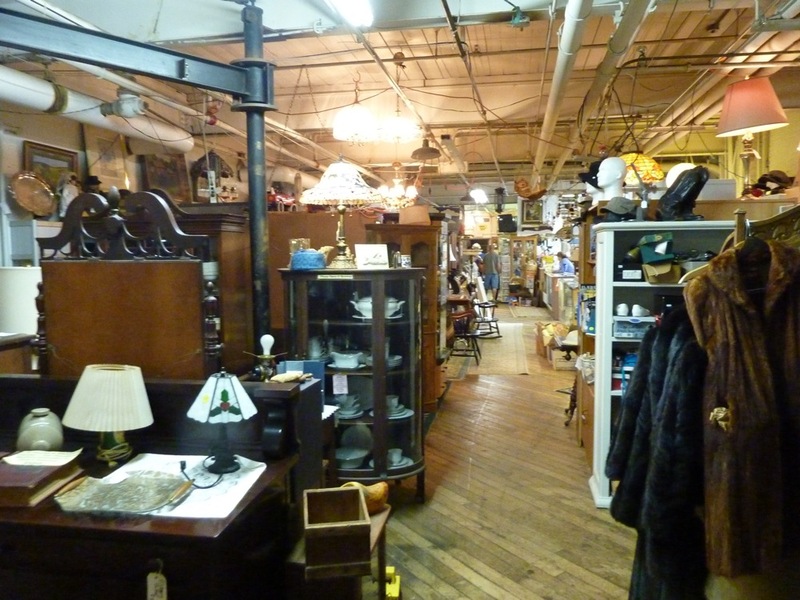 ReMARKable Cleanouts obtains merchandise from whole houses, attics, cellars and garages to offer "endless stuff" for the home, office or dorm! ReMARKable Cleanouts at the Winsmith Mill Market. 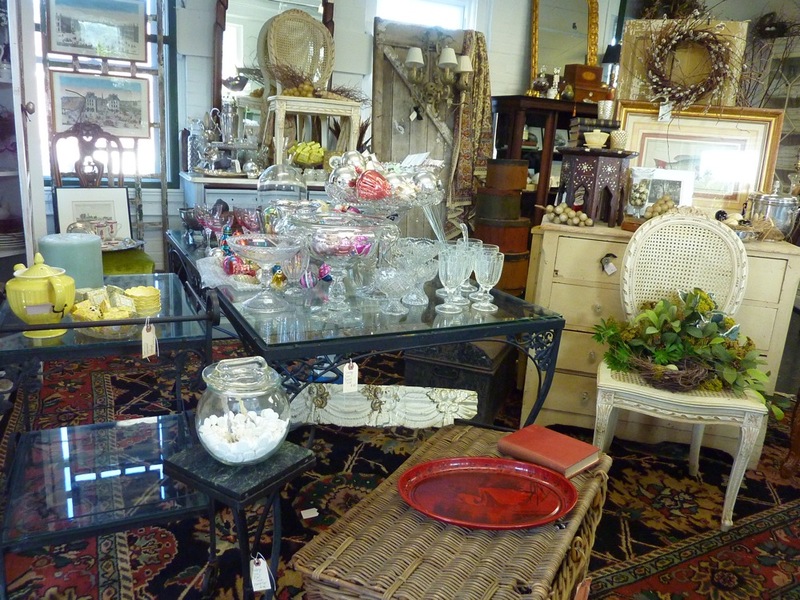 This beautifully laid out shop sells a well-chosen variety of antiques, furniture and repurposed items. The Vintage Peacock at the Winsmith Mill Market in Norwood, Mass. Photo source: The Vintage Peacock Facebook fan page. The instantly likable Ramblin Rose Vintage Home & Garden features a cozy indoor setting and pleasant outdoor area to shop for vintage, Victorian, Western and home and garden items. 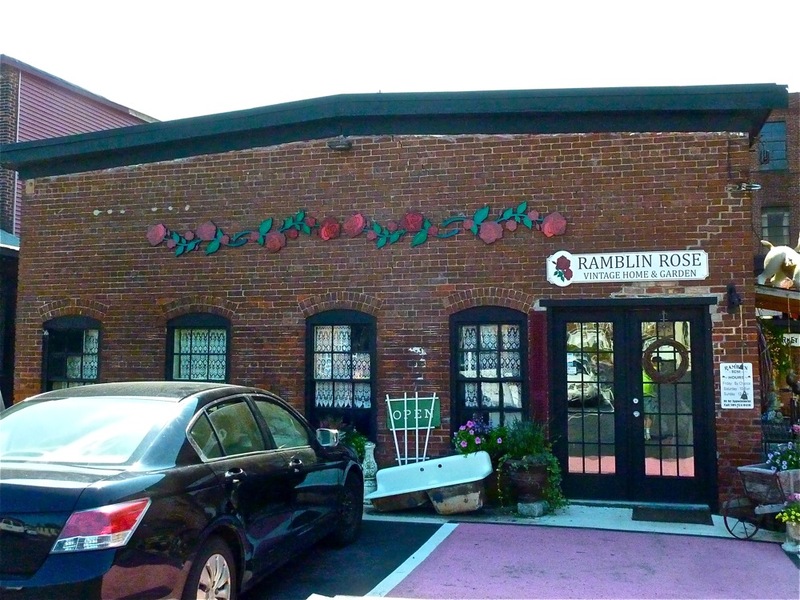 Ramblin Rose Vintage Home and Garden shop at the Winsmith Mill Market. Outside shopping at the Ramblin Rose Cottage. 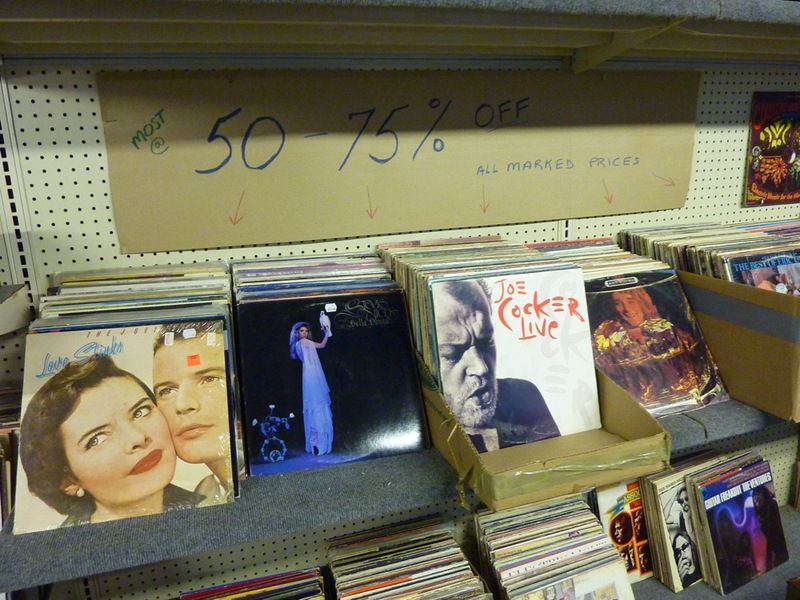 The shopping also extends beyond the seven major vintage shops with vendors offering thousands of additional items ranging from old records and video games to even more nice touches for the home -- and everything else in between that you'd expect at an antiques and shabby chic destination. Old-time record albums found in the basement of the Winsmith Mill Market. Colorful merchandise from the Wandering Mystic. What? An Art Studio at the Winsmith Mill Market? Norwood Fine Artists' Gallery & Studio. Proving that you can check in any time you want but can never leave the Winsmith Mill Market, the third floor features yet another fascinating facet with the Norwood Fine Artists' Gallery & Studio. 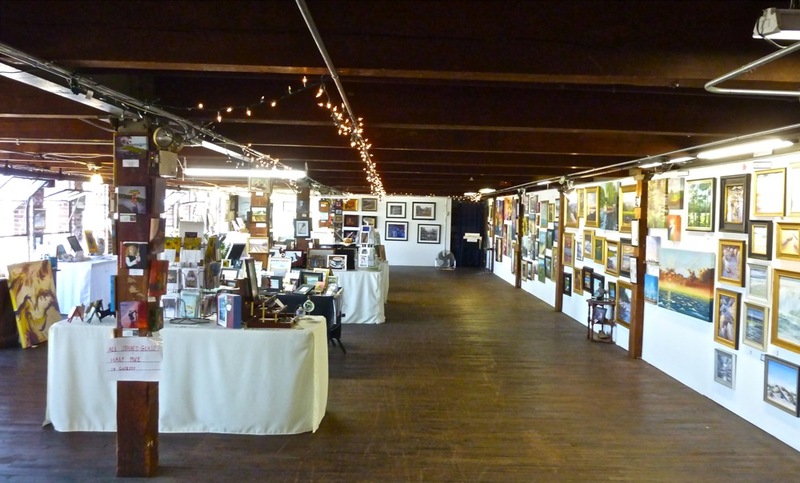 Here, local artists offer their original fine art and prints, as well as art-related gift items for sale. The Gallery and Studio features anchor artists, rotating guest exhibits, and demos and instruction, according to the Norwood Art Association web site. One would never expect such a beautiful space to exist in a remote part of a former tannery complex, but thank goodness it does! 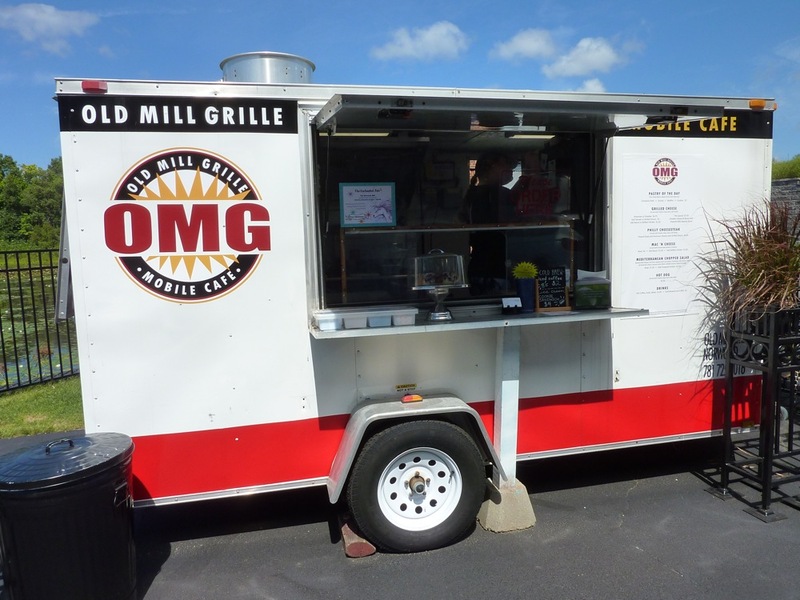 The Old Mill Grille Food Truck at Winsmith Mill Market. All that shopping at Winsmith can lead to building an appetite. 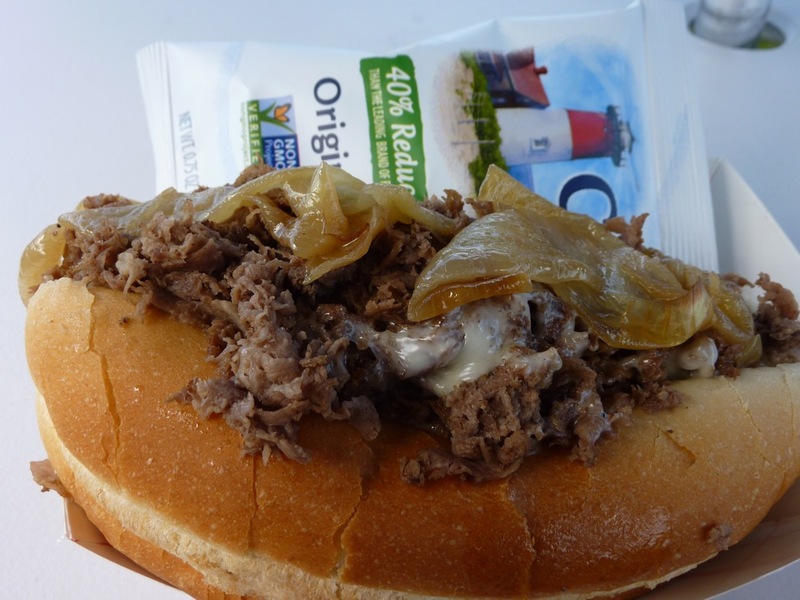 The Winsmith Mill Market definitely won't leave you going hungry. 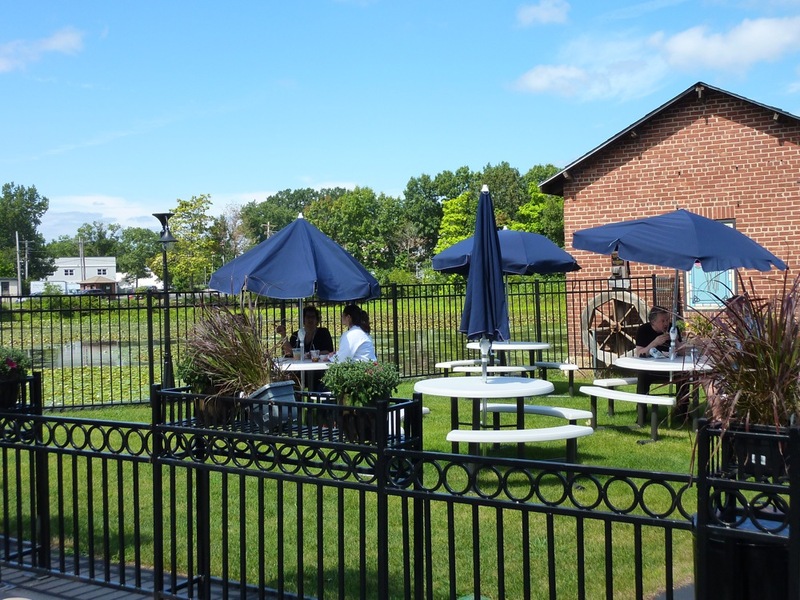 The Old Mill Grille -- otherwise known as OMG -- has a food truck at the complex with home style comfort foods that more than satisfy the appetite. The steak and cheese sub, grilled cheese and mac and cheese are to die for. Steak and cheese sandwich from OMG. 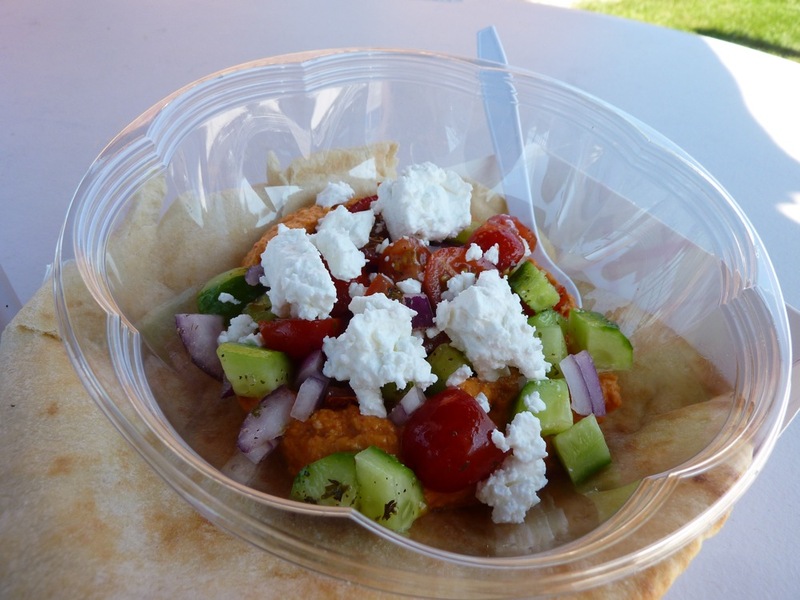 The Mediterranean Chopped Salad is also delicious with its mix of roasted red pepper hummus with cucumbers, tomatoes, red onion, feta and Kalamata olives dressed with Sittee's Middle Eastern Salad Dressing -- a wonderful culinary concoction created by OMG owner Erin Kimmett and parishioners of St. George Orthodox Church in Norwood (Erin's husband, Father Joseph, is the pastor of the church). 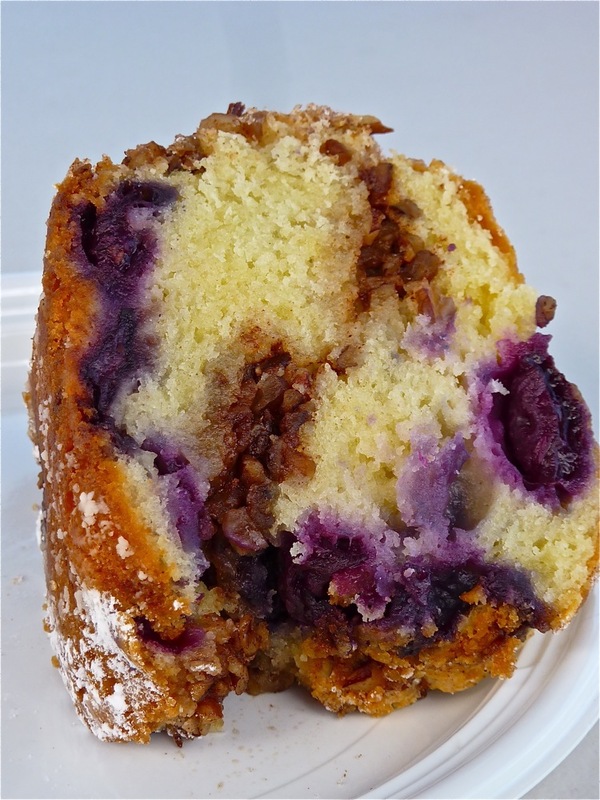 Blueberry pecan bread from OMG. Dining area by the OMG Food Truck. 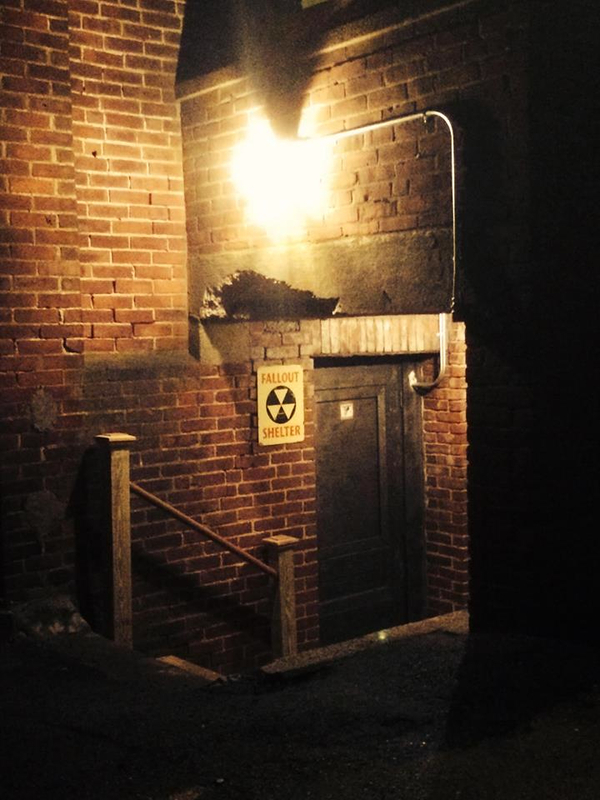 The Fallout Shelter at Winsmith Mill Market. Photo source: Extended Play Sessions Facebook page. Clandestine-like entrance Fallout Shelter at Winsmith Mill Market. Photo source: Extended Play Sessions Facebook page. Upon entering, however, the Fallout Shelter looks like a respectable, go-to entertainment destination you'd typically find in Boston -- albeit with a 1940s nightclub theme. 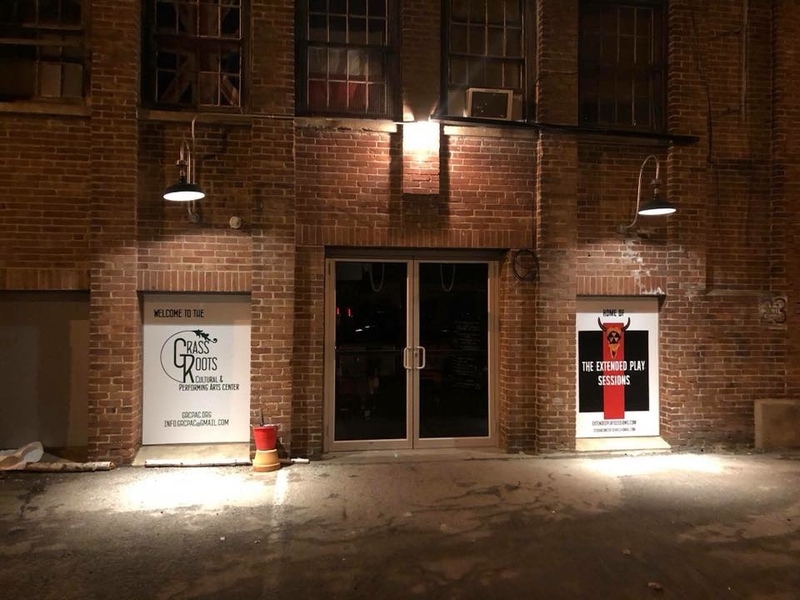 It's different from a Boston nightclub, though, as plenty of free parking is available and $25 per person will get you wonderful live entertainment, a light meal and a souvenir concert poster. There's also a cash wine and beer bar. 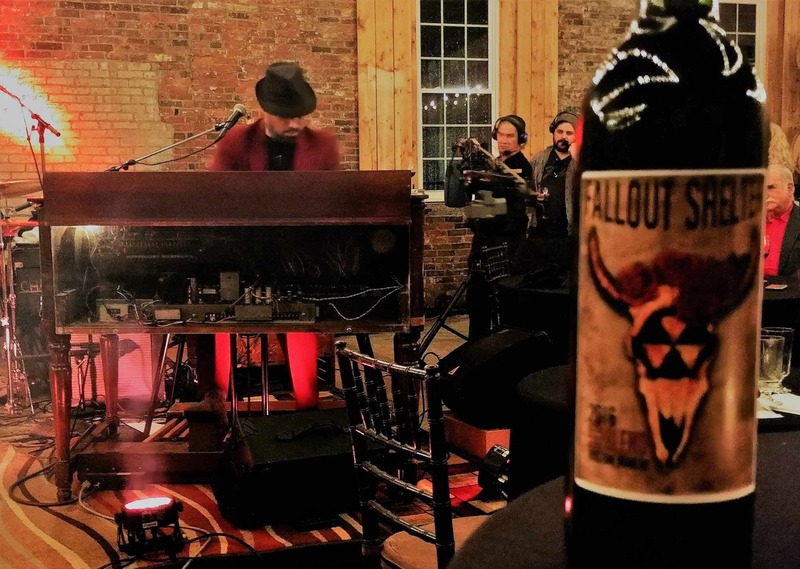 The Fallout Shelter venue at Winsmith Mill Market. Photo source: Extended Play Sessions Facebook page. Shows start at 7 p.m. and end at 9 p.m. Top flight solo singers and bands have played here including The Bottle Rockets, The Swinging Steaks, Paul Kelly and Malcolm Holcombe. Log onto the Extended Play Sessions web site for more information including concert dates. Old Dodge car at the entrance of the Winsmtih Mill Market. For those who love antiques, shabby chic and "everything but the kitchen sink" offerings, be sure to not pass by on this unusual, unlikely yet wonderful ancient shopping mall complex. 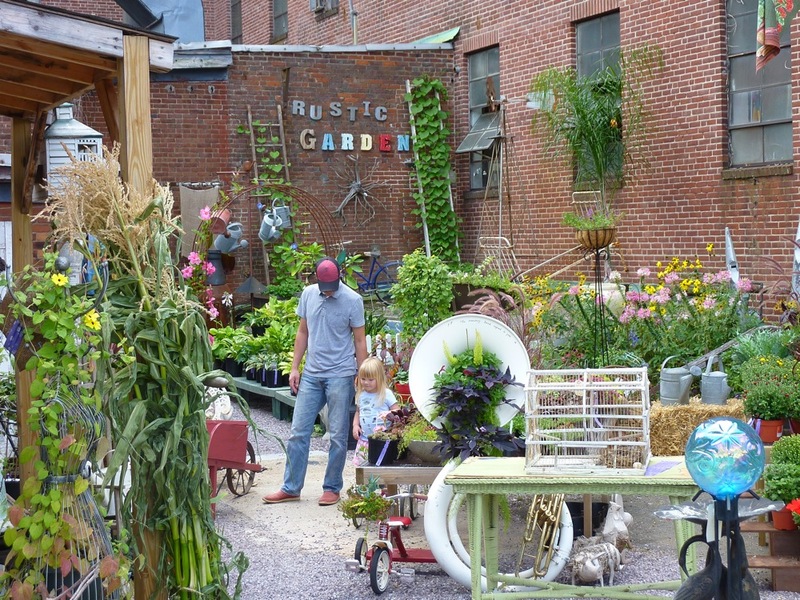 It's definitely a New England bucket list shopping destination that should be visited. 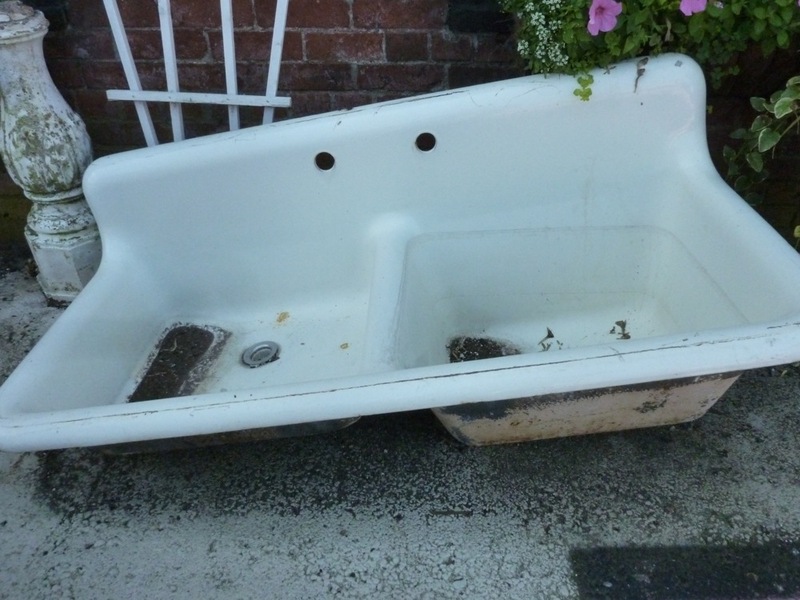 Oh yes, by the way, they do even sell the kitchen sink! The kitchen sink is also for sale at the Winsmith Mill Market. 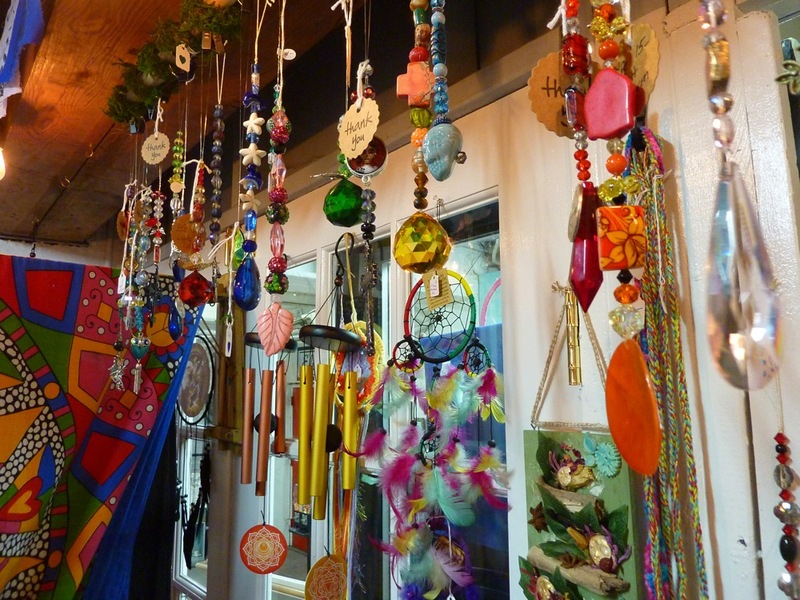 Winsmith Mill Market not only sells treasures, but is a treasure in itself. It's pure fun navigating the shops. The vendors are generally friendly and helpful, and the chances of coming out with something you truly need, or might not, are very high. 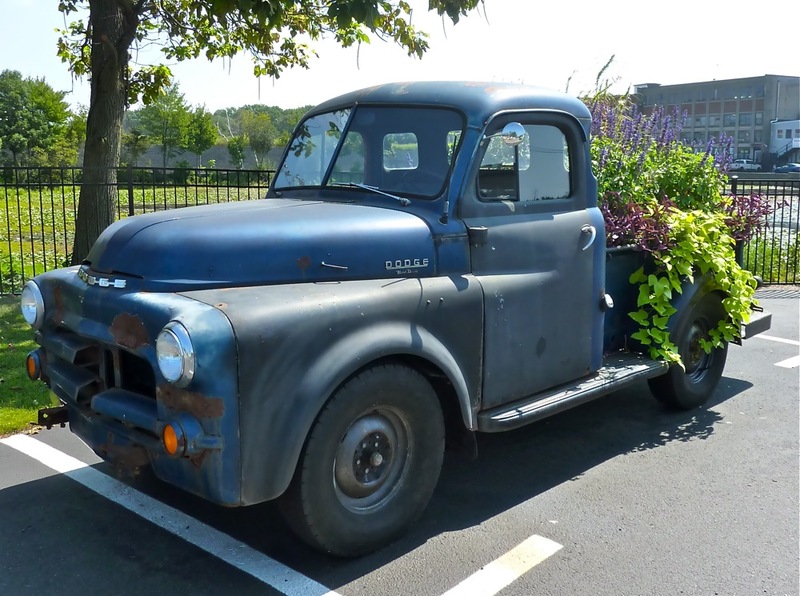 An added bonus: The Winsmith Mill Market is located only 15 miles southwest of Boston, making it very convenient for city residents with an affinity for antiques and shabby chic shopping shop close to home. 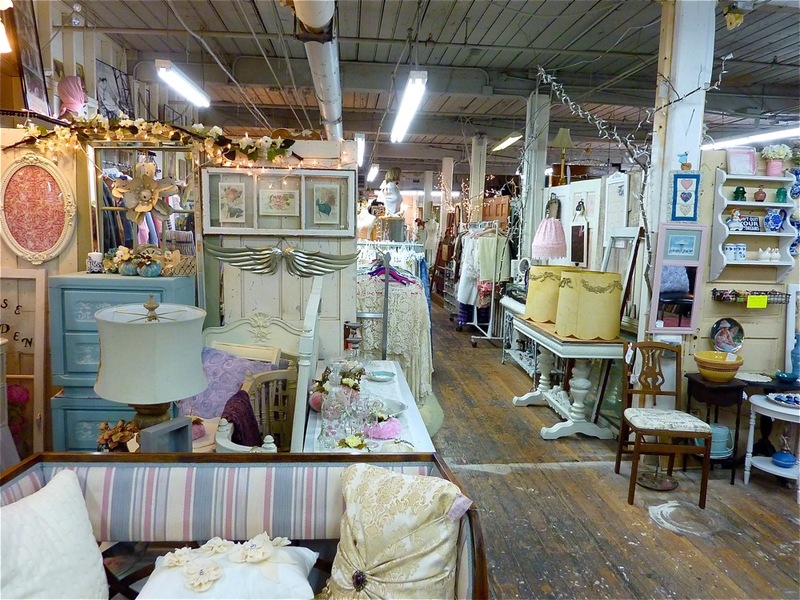 If you love shopping in famous antiques and shabby chic destinations like Putnam, Conn., Stamford, Conn., Wells, Maine, Essex, Mass. and North Kingstown, R.I., as well as the Brimfield Fair, then you will be fascinated by the Winsmith Mill Market. I was certainly taken by surprise, but from this point on will place this unlikely gem on the best places to shop for antiques and shabby chic in New England. Definitely plan on spending at least a few hours here. While some of the merchandise is high end, most people find incredible bargains here, Winsmith is largely a budget-friendly place with many great deals for the budget-minded. What a fabulous place to find great merchandise for the home, office, and wardrobe! 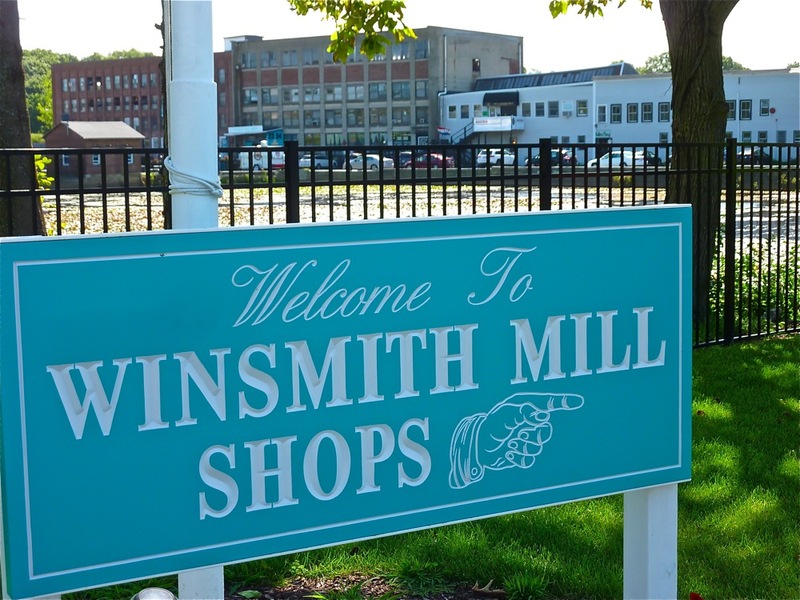 Winsmith Mill Market is located at 61 Endicott St. in Norwood, MA. Tel. (781) 762-3250. Web site: http://www.winsmithmill.com. Facebook fan page: https://www.facebook.com/WINSMITHMILLMARKET/. If interested in opening a business at the Winsmith Mill Market, please contact Sheryl Elliott at 781-762-3250, or email her at SElliott@norwoodcommerce.com. At this writing, the Norwood Commerce Center -- home of the Winsmith Mill Market -- has larger business/commercial space available at the 14 buildings on 27 acres. 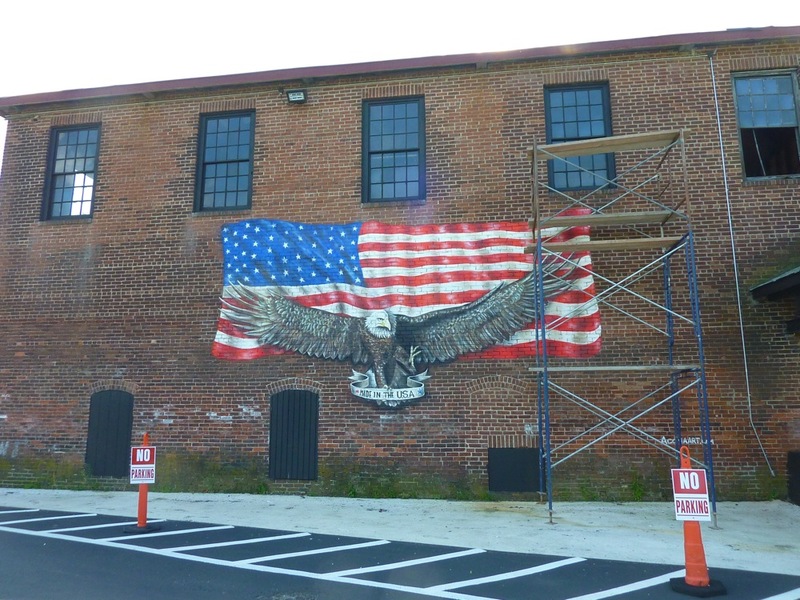 Flag design on one of Winsmith buildings. If you enjoyed this story, please share the graphic below on Pinterest. Thanks! Massachusetts Town Greens -- Discover New England's first travel attractions: town commons (includes a chapter on Norwood)! The Best Diners in New England -- If you love classic diners, New England has them! Read about the 50 best in this region!